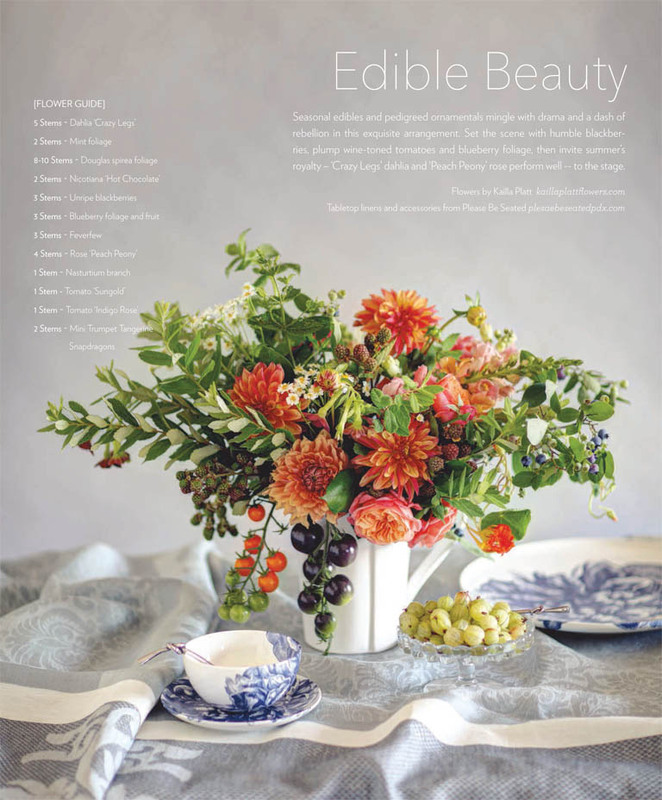 EDIBLE BEAUTY Seasonal edibles and pedigreed ornamentals mingle with drama and a dash of rebellion in this exquisite arrangement. 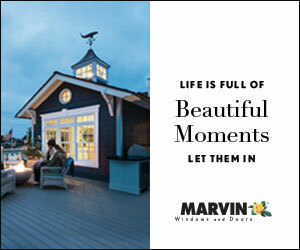 Set the scene with humble blackberries, plump wine-toned tomatoes and blueberry foliage, then invite summer’s royalty – ‘Crazy Legs’ dahlia and ‘Peach Peony’ rose perform well -- to the stage. Flowers by Kailla Platt, www.kaillaplattflowers.com Tabletop linens and accessories from Please Be Seated, www.pleasebeseatedpdx.com. 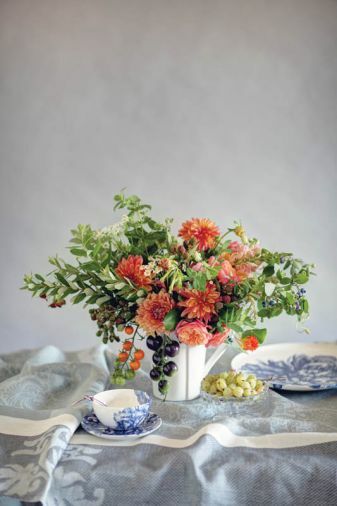 Use these plant and stems to recreate this arrangement: 5 Stems Dahlia ‘Crazy Legs,’ 2 Stems Mint foliage, 8-10 Stems Douglas Spirea foliage, 2 Stems Nicotiana ‘Hot Chocolate,’ 3 Stems Unripe blackberries, 3 Stems Blueberry foliage and fruit, 3 Stems Feverfew, 4 Stems Rose ‘Peach Peony,’ 1 Stem Nasturtium branch, 1 Stem Tomato ‘Sungold,’ 1 Stem Tomato ‘Indigo Rose,’ 2 Stems Mini Trumpet Tangerine Snapdragons. WILD ABOUT DAHLIAS Late summer is an embarrassment of riches in the Pacific Northwest. 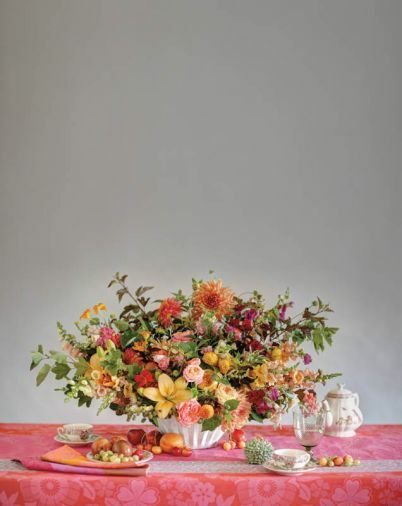 Celebrate the end of the growing season with sumptuous coral roses, burnt apricot dahlias and golden throated lilies, blended with fresh cut raspberry foliage and golden currant fruit. Flowers by Kailla Platt, www.kaillaplattflowers.com Tabletop linens and accessories from Please Be Seated, www.pleasebeseatedpdx.com. The flowers included here are Rose ‘Karmel Antique,’ Rose ‘Pink Peony,’ Rose ‘Romantik Antique,’ Ninebark ‘Summerwine,’ Mint foliage, Raspberry foliage, Golden currant foliage and fruit, Unripe blackberries, Lily ‘Menorca’ Dahlia ‘Crazy Legs,’ Dahlia ‘Sherwood Peach,’ Dahlia ‘Ginger Willo,’ Knautia Cream Foxgloves, Madam Butterfly Snapdragons, Mini Trumpet Tangerine Snapdragons, and Nasturtiums. POETIC PEONIES ‘Cora Louise’ peonies steal the show when set against a fresh green backdrop of mock orange and tri color Beech. 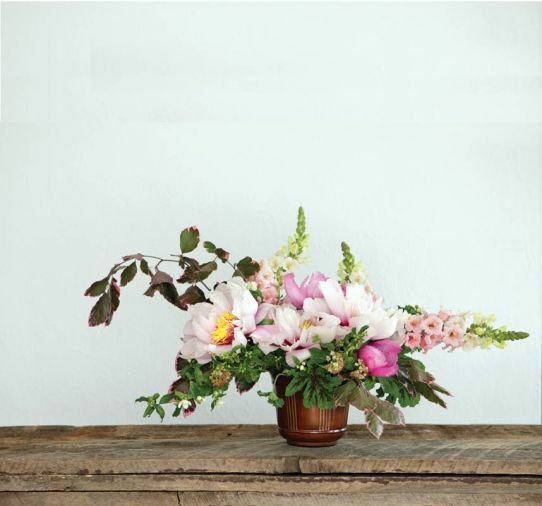 This sweet arrangement blends lush pink peonies, creamy white snapdragons and earthy stems of geranium and ninebark. Flowers by Kailla Platt, www.kaillaplattflowers.com. Use this stem count to recreate the arrangement: 3 Stems Tri-color Beech, 7 Stems Ninebark foliage & flowers, 3 Stems Mock Orange, 3 Stems Pink Trumpet Snapdragons, 3 Stems Peony ‘First Arriva,l’ 3 Stems Peony ‘Cora Louise,’ 3 Stems Chocolate Mint Scented Geranium.